Inside: penguins!! But also, neatly arranged drawers in a variety of festive colours and patterns, each with a tin of tea inside. Something about how they designed/presented the drawers really appeals to my obsessive side. 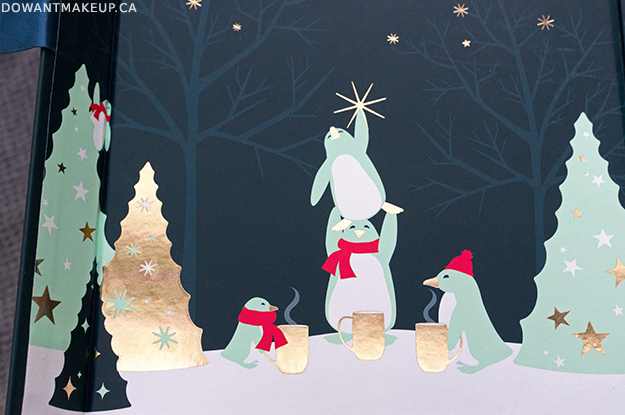 This year's holiday collection is designed around mint, teal, and penguins wearing scarves and sipping tea--so basically I love and want everything. But seriously I will probably end up doing some nail art inspired by this set. Santa's Secret and Sleigh Ride are currently not available for purchase outside of this set, by the way. 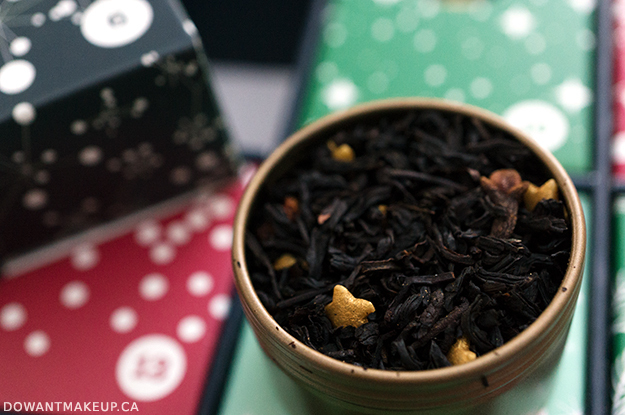 Same goes for Gingerbread Cookie, which I think is a brand new tea and exclusive to the set. 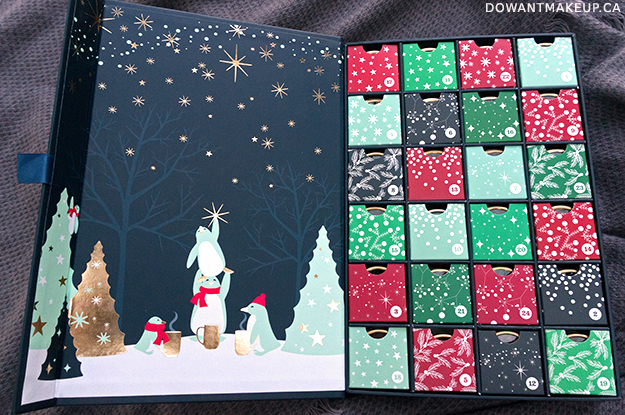 Something I really like about this set is the way you "open" each day without wrecking the packaging. 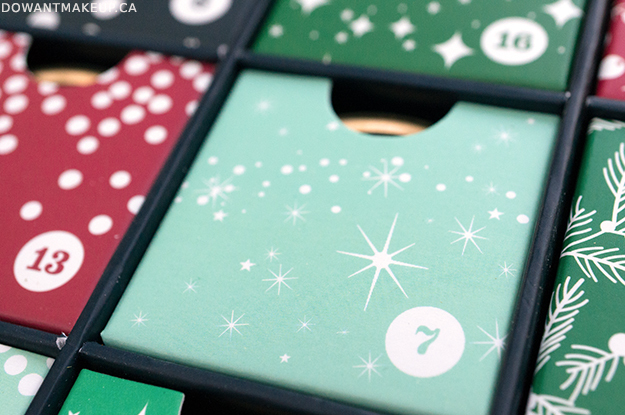 Some advent calendars have "doors" that require you to tear them open to get to the gift inside. Having drawers that slide out and back in keeps everything intact. 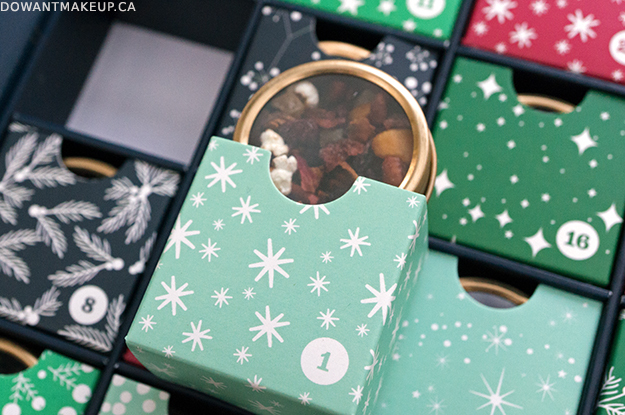 And, as Sheila pointed out to me, this allows you to re-use and make a custom tea advent calendar by filling it with your own teas if you wanted. 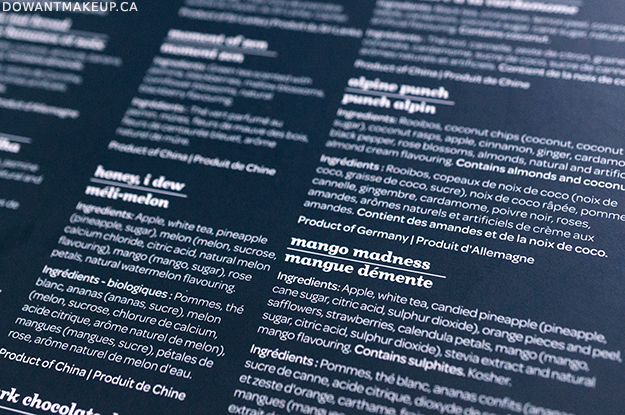 The teas included in the set are listed on the back along with ingredients, so you can decide if it's to your liking. 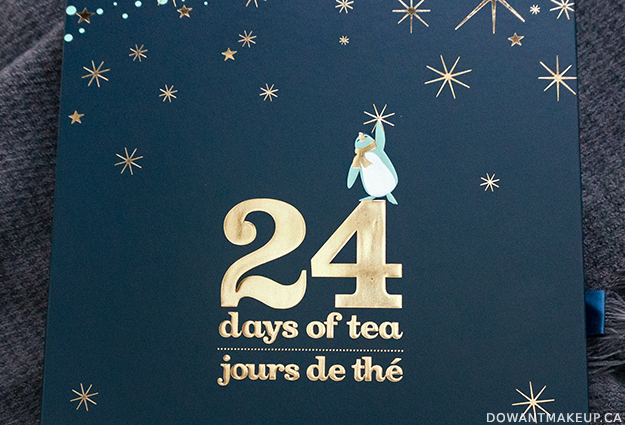 The actual order of teas is a mystery though! 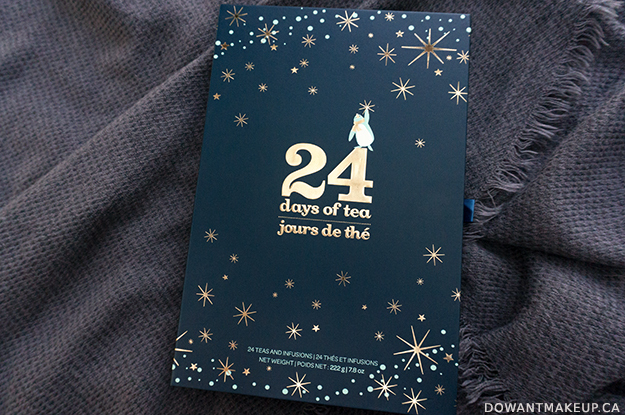 The advent calendar is available for a limited time and again, tends to sell out quickly, so I would consider snagging it for yourself or as a gift soon. It sold out online on launch day, but has come back into stock again. 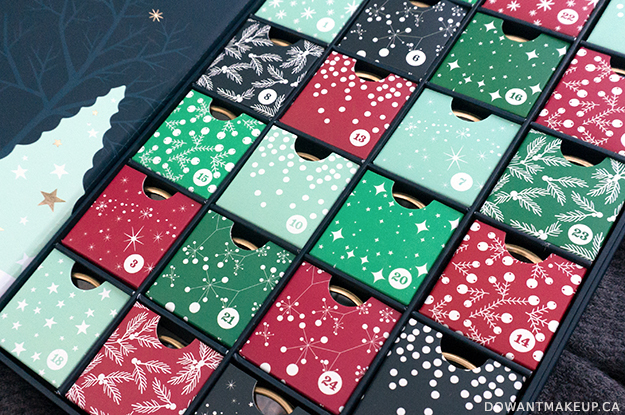 Are you doing any advent calendars this year? This is my first one of any kind ever, so I'm pretty excited!